Nowadays internet is used by every person on daily basis. Persons who are really addicted to the internet and they can’t live for a while without it. Now as the technology is growing day-by-day peoples are using internet for every task on their daily life. They are using smart phones to keep in touch with internet for every moments. Now peoples not hesitate to buy anything online and they are also paying the amount of their product buy using the internet banking services or using their credit or debit cards. Now one of the major problem for online transaction is that the transaction which is done by you is no longer secure and always the hackers are ready for tracking the other users activity and the ultimate goal of them is to get something about other and victim is not aware of that they are hacked or not ! Hackers are stealing your valuable credentials like username, pin, card number and all. After that they are using victims login credentials and they are cyber criminals and they can do much more with that. If you want to be a more secure while your online transaction is going on than you should aware of all the following important aspects. While you login with your username and password then try to use virtual keyboard which is provided by every banks for login. If you are using your own computer then you can use your physical keyboard but if you are using any public computer then you must have to use virtual keyboard otherwise your public computer may have some user credential storing software like keylogger. Some hardware key logger is also used by attackers which are attached to the cpu on public computer so, If you found any device which is unknown to you is attached to computer then try to avoiding the use of that computer. While you are using online payment option on any merchant site then payment gateway is used and for proceeding further you are asked to select appropriate bank and other options. Phishing is widely used attack technique used by attackers. What they are using with phishing is that they just give another url to the victim instead of genuine one and they are using fake page which looks like original website page and while payment it always connects to the bank so ,make sure to check the URL of the bank login too. You need to also check whether your page with which you are going to login is secured or it is using HTTPS or not. If page not contains HTTPS then avoid login from that page. mainly for storing your browsing details. So, if your antivirus software is not updated then you would be the next target of the attacker. If you are using Smartphone and loves to download the application from the stores then please try to download application from the official stores only otherwise if you download the application from the untrusted store than there may be a chances of Trojans or viruses which are embedded with your application and by using that application for online login is very dangerous because it steals your browsing data. Last but not least. Please avoid using public WiFi access point.Using public WiFi is not the secured way because hackers can easily access the public WiFi access and performs the man in the middle attack to sniff around the packets. Instead of standing in queue for shop or payment, please use the internet to makes your life much easier. But you have to remain secure while transactions. so please follow the above given tips to be more secure. You can also scan Website for Malware and Virus to remain threat free. Thanks for reading this article. Feels free to ask or comment bellow. Google Android keep upgrading its latest version to improve the user experience for various smartphone devices which carries the Android Lollipop version. Previously Google Added the Android security feature by allowing the encryption of Android 5.0 Lollipop to secure your phone data. 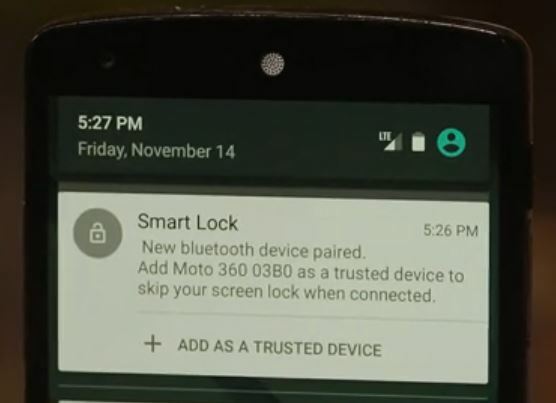 Google also rolled out the Android Lollipop 5.0 smart lock feature to make the pair to the device and let it allows you to add trust inside to use unlocked device frequently by avoiding repeated Login. Google now comes up with the new Android lollipop smartphone security feature so silently which is known as On Body Detection. Here when your smartphone device attached to you, it’ll remain unlocked and when you stay away from the device it’ll locked automatically. Android On Body Detection feature is added to the Smart Lock section of the Smartphone. Android On Body Detection has the other added features including Trusted devices, Trusted Places, Trusted Face. You can add the trust in all that and let you can use device unlocked in your specified trusted selections. 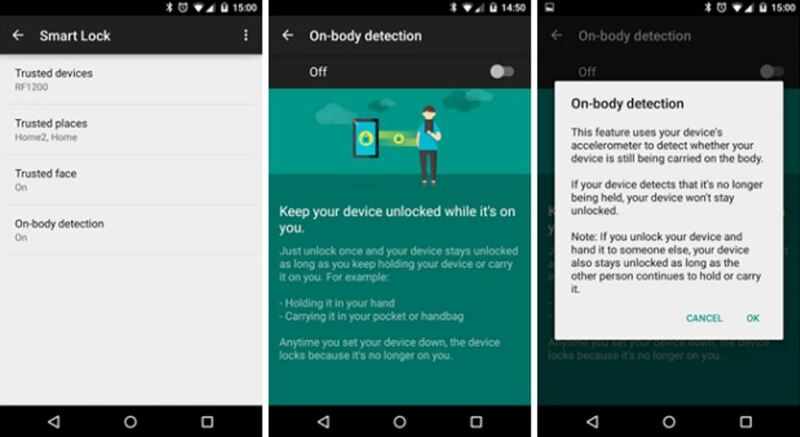 Google itself found the problem with this new feature, While passing the device to the another person when on body detection activated will not re-lock the device and person can access everything while its on his or her body. But hopefully it’ll be fixed soon. Just unlock once and your device stay unlocked until you left hold to the device. Follow how to Activate the feature by viewing the Screenshot Above. Android Lollipop On Body Detection Security feature rolled out through the official Google Android Play services and that should hit all the smartphone which carries the Lollipop older or newer version. How do you rate the Advanced Security feature by Google, Let us know your thoughts on the same. The batch file is used to execute bunch of code at a one time. When the code given bellow gets executed, it creates the folder as the name Locker. Now put the important content inside the Locker directory. Then once again execute the same batch file and it will asks you to whether you want to lock the directory. Now press ‘y’ and hit enter and then the folder Locker will disappears. Now if you want to make the folder visible again then re-run the same batch file. Now this point of time it will asks you to enter password to unlock the directory. you have to enter the password as ‘important’, since it is already mentioned by in the program. When the password is matched, the folder becomes visible and you can have access to the folder. So, what happens is that, the folder ‘Locker’ is set with the system and hidden attribute and it becomes invisible, when the batch file gets executed again, it will asks for password, which is already set by you in the code as ‘important’, when it matches, then the folder becomes visible and can be accessed. Code to lock the folder. By renaming the folder with class-identifier on command prompt you will get the specific windows identified icon instead of the folder you gave and if anybody click on that icon then he/she will be redirected to the specific (my-computer / control-panel or any) identified location. To lock or rename folder with clsid just follow the Video steps. Hope you enjoyed. Feels free to ask or comment below. People using security pass code or pattern to secure their mobile data and its always nice way to achieve the privacy. But it sometimes becomes annoying to enter the security code or pattern repeatedly. So the Latest Lollipop version came with the cool distinct feature such that you doesn’t required to enter the password when the trusted Bluetooth or NFC device is in the range of the Smartphone. Trusted device can be any of your choice including Tablet, Smartphone, Car, iPod or Speaker which have the Bluetooth or NFC feature. To start using this feature you need to first sync the trusted device with the Smartphone. Follow the easy steps below to start Making use of it. Go to the Smartphone settings section. Settings > Security > Smart Lock > Trusted devices . Now click on the Plus ‘+’ icon and add the trusted device (Bluetooth or NFC) you want to add and now select your device and you are good to go. There is no need to give password every time when you are in range of the trusted device. You successfully setup the smart lock. This feature will be helpful when you need to check the phone more frequently. Start using the Lollipop and enjoy this cool Smart lock feature in your Android device. See the Demo on how to Setting up the Smart lock in Smartphone in the video [by CNET] below. We are surfing lots of web sites everyday and sometimes we gets infected by the Virus, Worm, Trojans or any infected codes. That malicious code slow down our computer and it spreads badly in all computer drives without knowledge and it may infect our entire computer and we may lost our important data due to infection. Sometimes that infected file or website may open the backdoor into our system and it allows the remote attacker to get into our computer and steals the crucial data. So we recommend you to surf websites safely and remain secure from virus along the internet. For that you have to use the Virus Total. Just put your url or the file which you want to scan and let virus total scans it for you and alert you if it found virus on the Website or File. 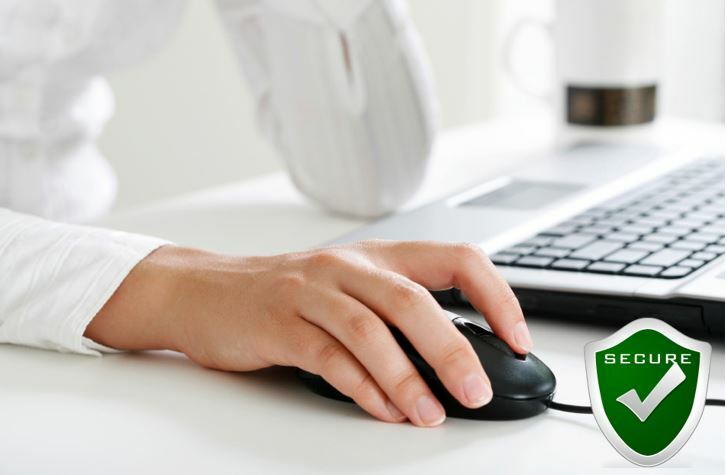 Virus total scan your url or file with several virus scanner services and it is having updated virus signatures. This shows the scan result where Virus total has detected the infection on website. You can also use the Firefox browser addon to scan your downloads before storing it on the computer. VTzilla is the useful addon to scan url or download file by just rightclick and scan with virus total option. It will scan and alert you if it contains the malicious code. So it is the best option to protect your computer to getting infected by viruses. So, if you are dealing with the sensitive data on your organization than it is required to use the Virus total scan plugin on your browser.